You can manage your home appliances, even from afar. Turn your home electronic on and off from anywhere with APP. 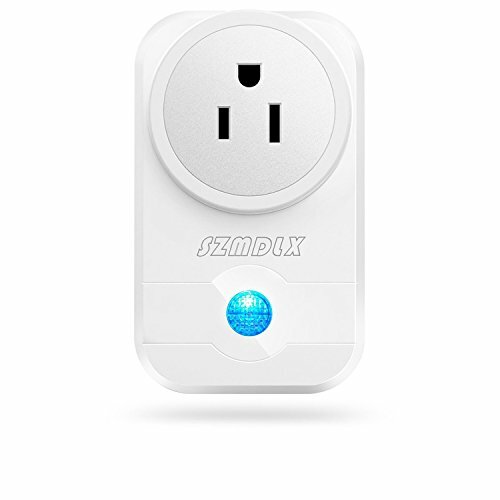 With the SZMDLX Smart Plug it is possible to come home to a brightly-lit house with your favorite music playing. Never leave lights on, or devices running again. It makes your plug and other plugged in devices to perfectly fit your life, giving you one less thing to worry about in your busy life. Easy Installation and Using, and no hub required. Set personal schedule and A simple timer function. Share control of smart plug with family members. One smartphone (eFamilyCloud APP) can control all appliances anytime, anywhere. 1.Please make sure to use a 2.4G wifi network while connecting. 2.If you are having trouble connecting on the BT home hub router, please disable the "Smart Set Up" and "Parental Controls". 3.Please do not use the Smart Plug in the electric blanket. 4.Please do not connect to any household appliances over 2000W. Please contact us first when you have any problem, our team provides 12 Month Warranty & 24/7 Friendly Customer Service. SZMDLX Smart Plug, which bring your life a lot of convenience and wonder!